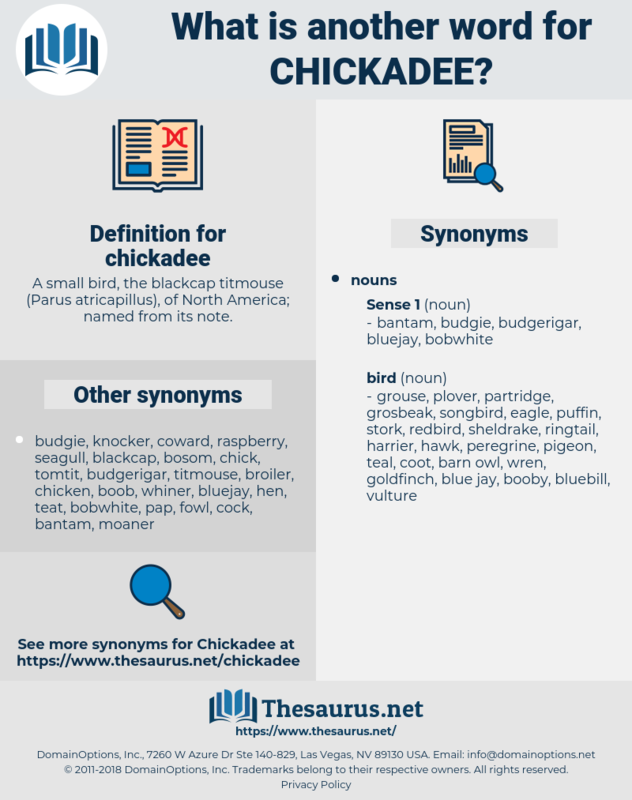 What is another word for chickadee? A small bird, the blackcap titmouse ( Parus atricapillus), of North America; named from its note. 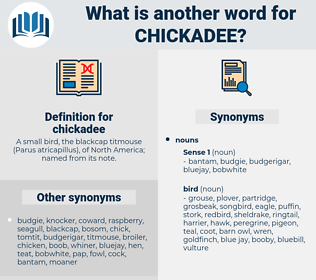 Like the chickadee, with whom they have the good taste to be fond of associating, they are always busy and cheerful, appearing not to mind either snow - storm or low temperature. The hairy woodpecker has been recorded nesting in a cavity which it had dug in a living honey locust, while the black - capped chickadee and red - bellied woodpecker have been recorded nesting in cavities in dead limbs. black-capped chickadee, Carolina Chickadee, blackcap, Parus carolinensis, Parus Atricapillus.